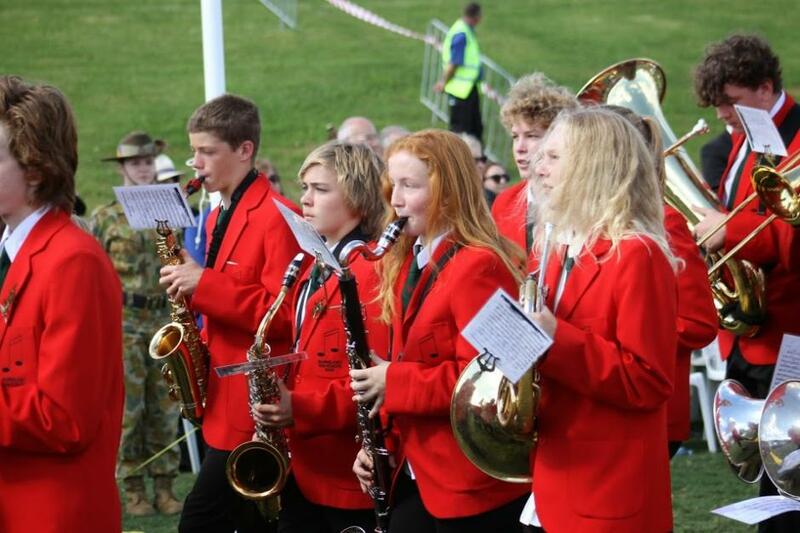 Barrenjoey Band Members at ANZAC Centenary Commemorative Service at Warriewood. 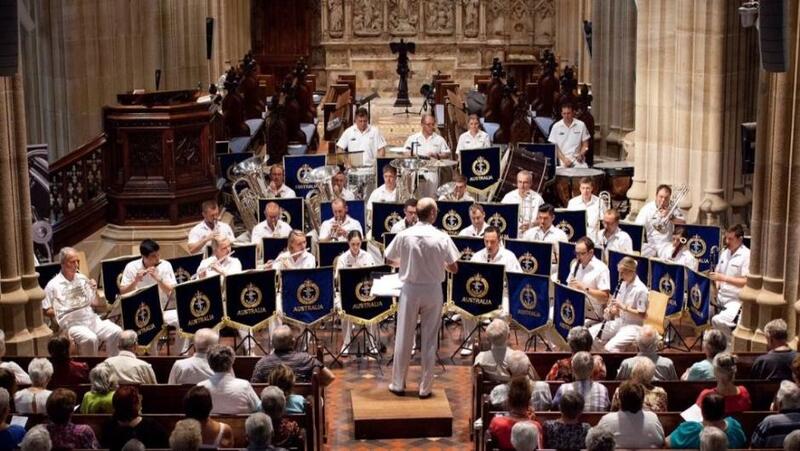 Avalon - The Royal Australian Navy band will visit Barrenjoey High School on Saturday the 23rd of May to run a workshop with the school’s Concert Band, culminating in a community concert at the school hall from 6.00pm to 7.30pm. Admission will be by gold coin donation. Popular movie soundtracks from movies such as “The Man from Snowy River” and the “Star Wars” series will come alive in Avalon, and the Barrenjoey High School Concert and Stage bands will showcase their talent alongside the Royal Australian Navy band. 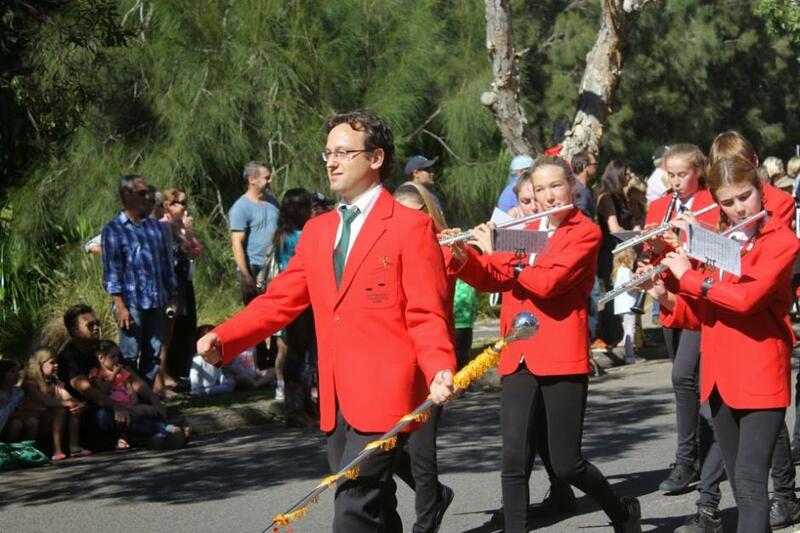 The Barrenjoey High School bands participate in community events throughout the year. 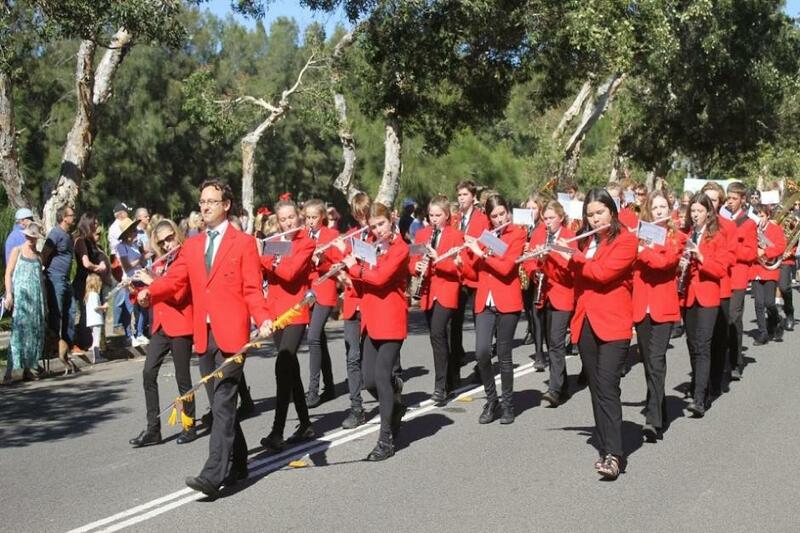 They marched at this year’s special ANZAC Centenary event held at Warriewood, and on ANZAC Day itself in Avalon as well as accompanying the hymns that formed part of both these Commemorative Services. Future events for these great young musicians include the forthcoming Avalon Tattoo, Pittwater Music Festival, Avalon Market day, and the NSSWE Spring Music Festival at The Concourse in Chatswood in September. The Stage band is looking forward to touring to Port Macquarie for the Big Band Blast Jazz Festival at the end of May. The visit by the Royal Australian Navy Band is the first of a number of specialised music workshops, new for 2015, being held at Barrenjoey High School as part of its extra curricula program. These workshops are a valuable service to school band programs, and the Royal Australian Navy band will see seasoned performers inspire and instruct the school’s young musicians. "Participation in a band program requires a significant commitment from our members with regular rehearsal attendance, practice and scheduled performances. Workshops with guest bands and guest conductors make the program more stimulating. In addition to the Navy band we will also be conducting workshops with other youth ensembles such as the Combined High Schools band and Northern Sydney Symphonic Wind Ensemble. These workshops are run by the guest conductor and our band members have the opportunity to work with and learn from talented musicians in their instrument joining them within each section. Each workshop generally produces a step up in the quality of our performance. Our Concert band director is Joshua Hughes, our Stage band conductor is Andrew Funnell and the Navy Band director is Lieutenant Matthew Klohs." The workshop will be run on Saturday afternoon with a performance of The Movies show by the Navy Band followed by the Concert Band with Joshua Hughes and the Stage Band with Andrew Funnell. The Community Concert starts at 6.00pm, at Barrenjoey High School Hall, Tasman Rd entrance, Avalon. The Royal Australian Navy Band will also present a concert and the Ceremonial Sunset at the Avalon 2015 Tattoo on Saturday 13th June 2015. This will be the 10th Avalon Tattoo – we’ll run the full program next Issue. Above and below: Barrenjoey Concert Band at 2015 Avalon Beach ANZAC Day Commemorative March and Service - April 25th, 2015 - A J Guesdon pictures. The Sydney detachment of the Royal Australian Navy Band consists of approximately 50 full-time members under the musical direction of Lieutenant Matthew Klohs, and is complemented by a number of Naval Reserve Musicians as required. 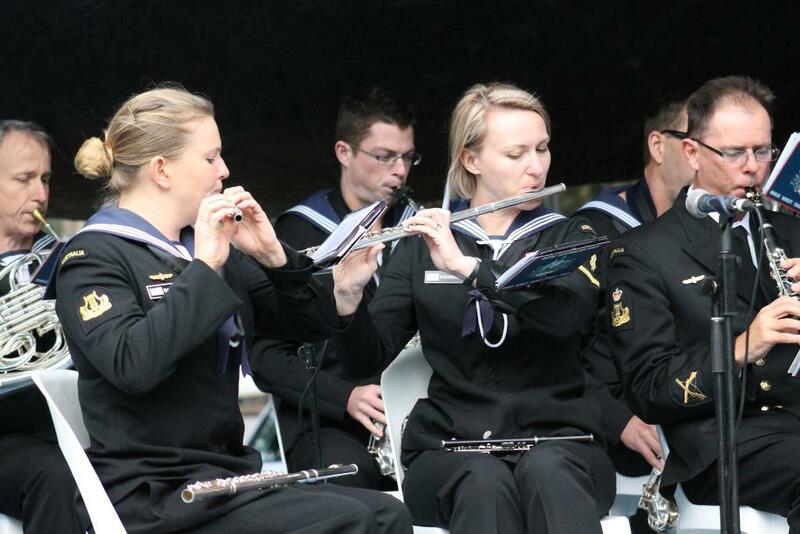 The Sydney detachment has a strong national and international focus and maintains versatile music capabilities, specialising in the delivery of ceremonial music, traditional and contemporary wind music, and popular music products. In recent years members of the Sydney and Melbourne detachments have participated in a number of overseas deployments including to the Middle East, Turkey (Gallipoli), Timor Leste and the Solomon Islands; to locations all around the world aboard Royal Australian Navy ships; and to musical gatherings such as military tattoos in Brunei, the United Arab Emirates, China, Hong Kong and the Royal Edinburgh Military Tattoo in Scotland. Members of the detachment also frequently travel to naval establishments all around Australia supporting Navy ceremonies and events. Key capabilities of the detachment are its ceremonial ensemble (including its bugle, drum corps, and fanfare capabilities) and wind orchestra. Extending its reach is a high-energy show group - The Admiral's Own, and wind chamber ensembles - The Commodores. The Admiral's Own comprises jazz orchestra and big band capabilities, a rock group, and a small jazz ensemble. The Commodores consists of wind and brass combinations including quintets, quartets, trios and small vocal ensembles. The Sydney detachment maintains a very busy schedule performing at many public events throughout Sydney and New South Wales including school concerts, community music festivals, local commemorative services, charity events and large sporting events.